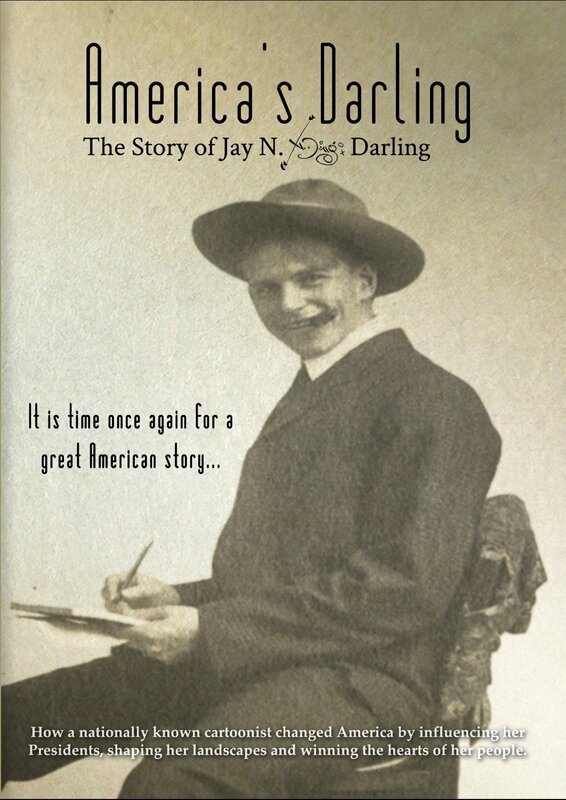 More than three years in the making, with research encompassing more than 12,000 cartoons, 300 hours of audio recordings, and 800 images, America's Darling is the story of Des Moines Register cartoonist and pioneering conservationist Jay Norwood Ding Darling (1876-1962). Rising from being suspended from college to twice winning the Pulitzer Prize, Darling s career had a profound influence on Americas people and her landscapes. NCTC has a lodge named after "Ding" Darling and significant portions of the research for the film were conducted at the NCTC Archives/Museum. Learn more about the conservation hero who inspired much of the current mission of the U.S. Fish and Wildlife Service.